Richard Irwin (Belper, United Kingdom) on 29 April 2007 in Plant & Nature and Portfolio. 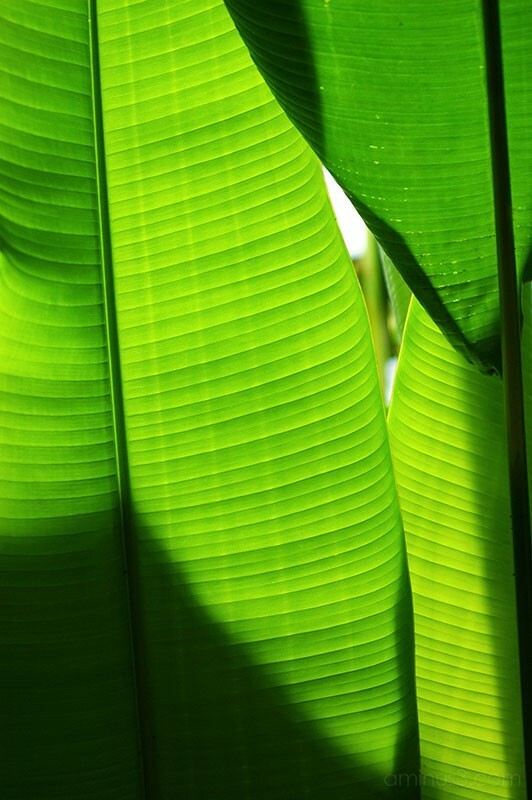 Not a native of these shores, but I grow various banana plants in my garden every year, and they seem to just survive the winter here in England, which always surprises me each spring when the leaves start growing. By the end of the summer, some get to about 2M tall. Great details and colours! Nice capture! Fine lights you have here. Great frame and all! Great greens and light! Well done.